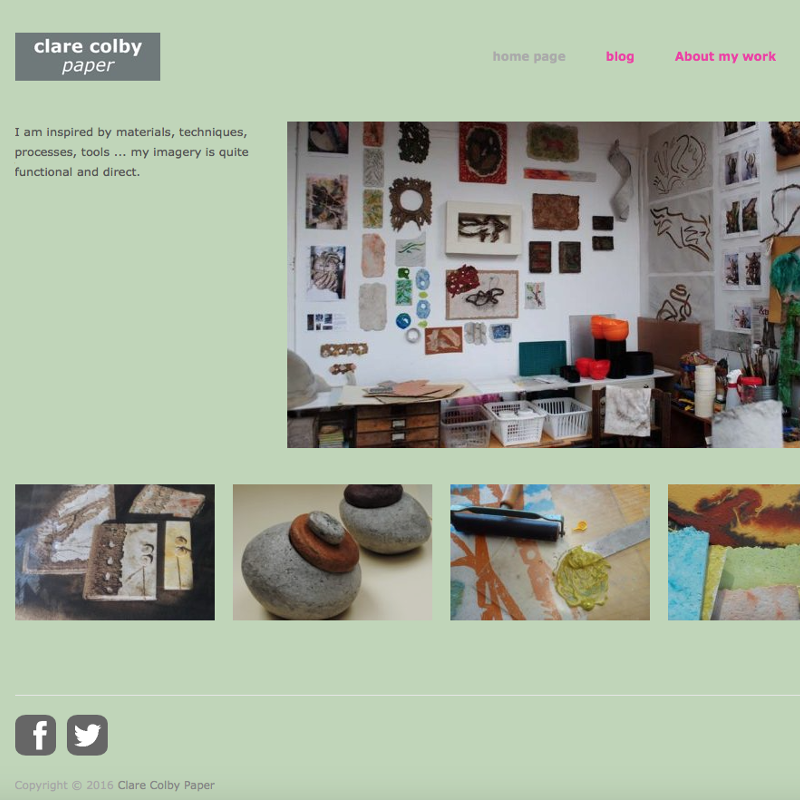 Clare Colby is a paper craft specialist, based in Dorset and she came to Essential Websites to get her new website up and running from scratch – Clare Colby Paper. She had a relatively short timescale to do this as her work was due on display as part of Dorset Art Weeks. Clare had decided to use WordPress for her website and was making some progress towards teaching herself to create her own website, but was becoming frustrated during the very initial stages – understandable given the vast amount of information out there to draw upon. To give the whole thing a kick start, we set Clare up with a staging WordPress site (so that she could develop it before it went live). We hosted it with WP Engine and installed both the initial WordPress files and her free chosen theme (Hatch) so that she could jump straight in and get working on the site herself. Having established a plan of action points that Clare wished to fulfil, in order to get her website to a standard that was ready to go online, we had an initial 2 hour session covering things such as the WordPress Dashboard, setting up pages, blog categories and the main menu, and we discussed things such as plugins, image optimisation and updates. Clare then had a couple of weeks to work on the site before having a third hour’s session to cover the following: installing a contact form using the ‘Contact Form 7’ plugin; using Google ReCaptcha to prevent spam and unwanted login attempts; and setting up widgets in the sidebar and footer area. When she was totally happy with the basic site, we made it live on her new domain name – ready for her paper craft exhibition from 28th May – 12th June in Symondsbury. Further input she might consider following up may involve SEO and more image work, but for the meantime the website is doing just what Clare intended. She can log into the site whenever she wishes to add or amend images or text and has full control of the content. We are just an email away for any questions or help to keep things running smoothly. If you would like to follow the same path as Clare and get a new website up and running just as quickly and easily, please get in touch: suehodgetts@essential-websites.com. 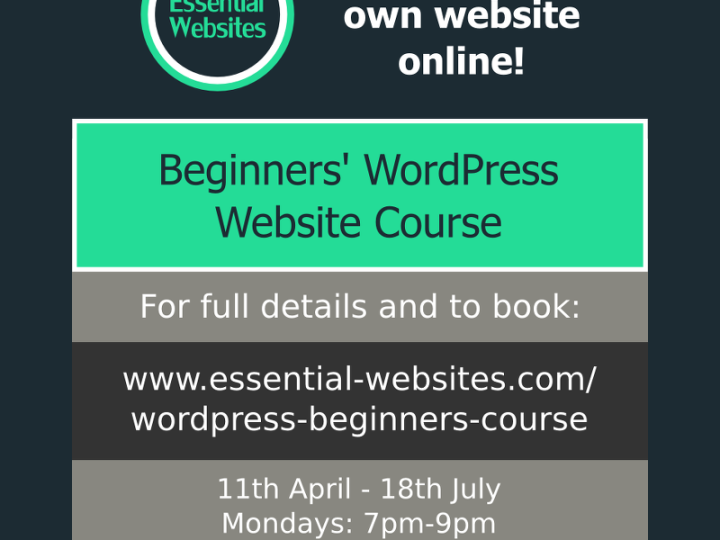 One-to-one website tuition – June bookings being taken now! 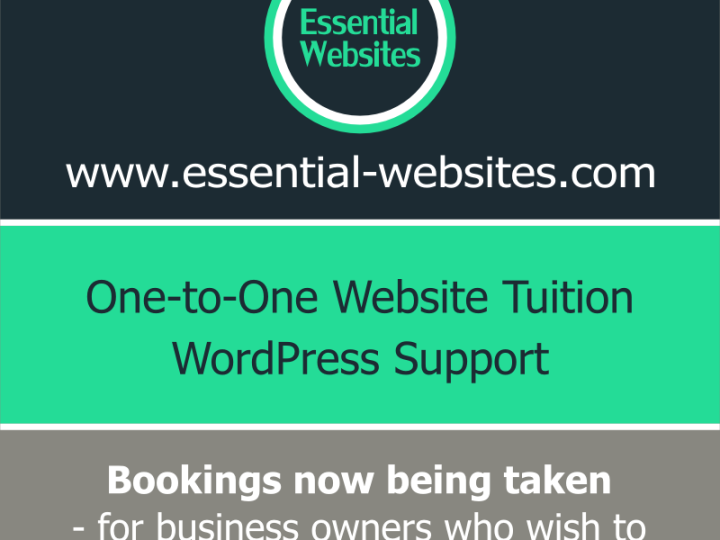 One-to-one website tuition – February bookings being taken now!